I was interested in what other folks had to say about Angela’s Ashes and found the following on Literary Vittles. The review is very comprehensive and the site is definitely worth a read and a follow. It’s been a while since I read a book that I really, truly enjoyed. 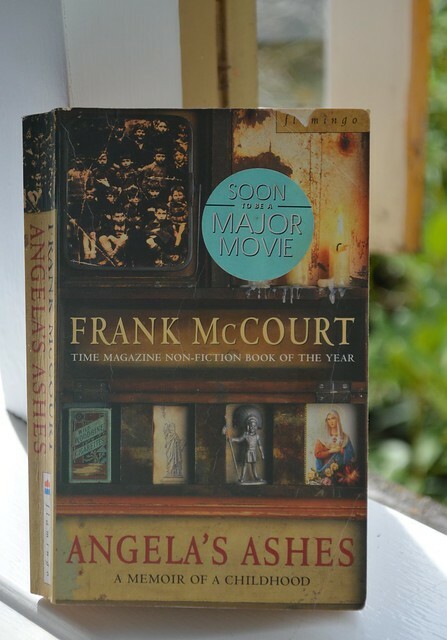 Angela’s Ashes, by Irish-American writer Frank McCourt, was considered an outstanding example of its genre immediately upon publication. Indeed, it was the recipient of the Pulitzer Prize for Biography or Autobiography in 1996, a fact that makes me wonder if I ought to read more books that have won that particular award (my infatuation with the Man Booker Prize ended after reading Julian Barnes’ disappointing The Sense of an Ending). After all, The Brief Wondrous Life of Oscar Wao is one of my favorite novels of all time; I’ve heard nothing but good things about Interpreter of Maladies; and my sister adored A Visit from the Goon Squad. But enough about all that. Let’s return to Frank McCourt, shall we?